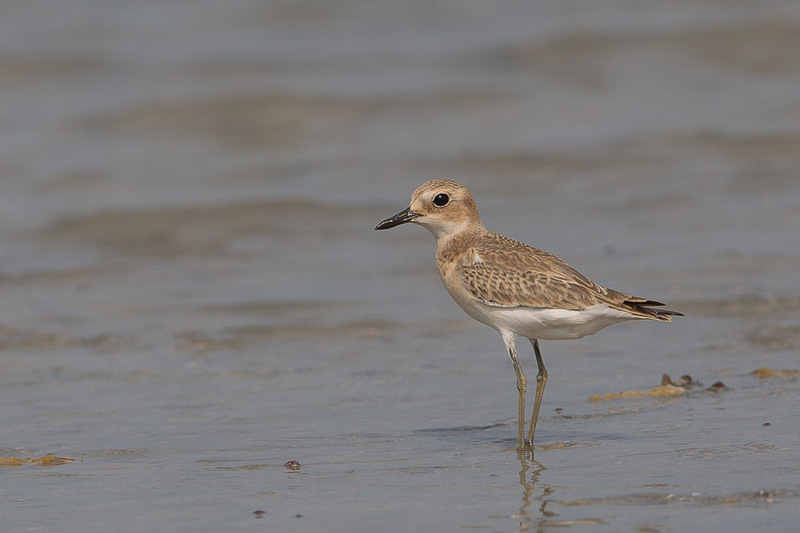 Shuqaiq Mnagroves (17 48.20N, 41 53.20E) is an area of mangroves on the southern Red Sea shore about 20km north of Shuqaiq. It is a shallow bay with large intertidal mudflats and stands of mangrove but little activity was occurring first thing in the morning on the day of our visit 4 July. As a result we travelled further north towards Al Birk on the main road looking for mangroves as we went and when we found any we tried to access the area by driving down any track that you can find to get near to the mangrove areas and then getting out of the car and walking around listening for calls. We eventually found a good area of mangroves just south of Al Qahma (17 57.856N, 41 40.841E). 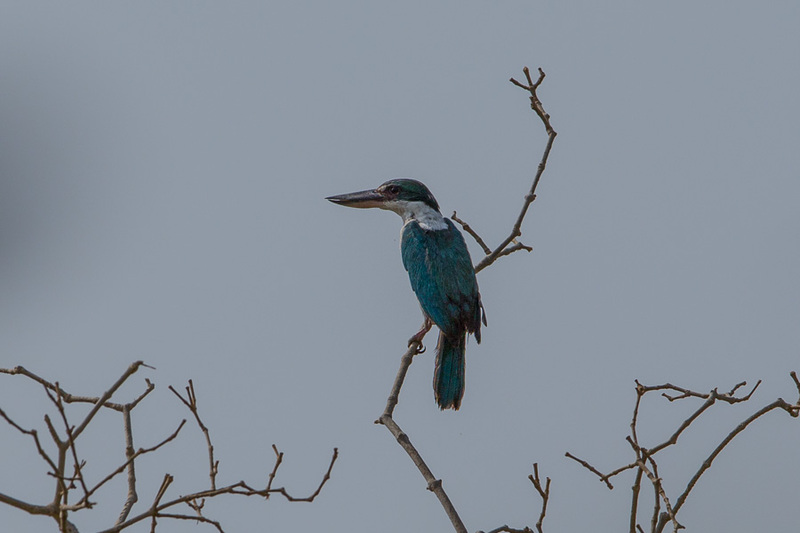 As a result we travelled further north towards Al Birk on the main road looking for mangroves as we went and eventually found a very nice large stand. The mangrove areas are accessed by driving down any track that you can find to get near to them and then getting out of the car and walking around listening for calls. 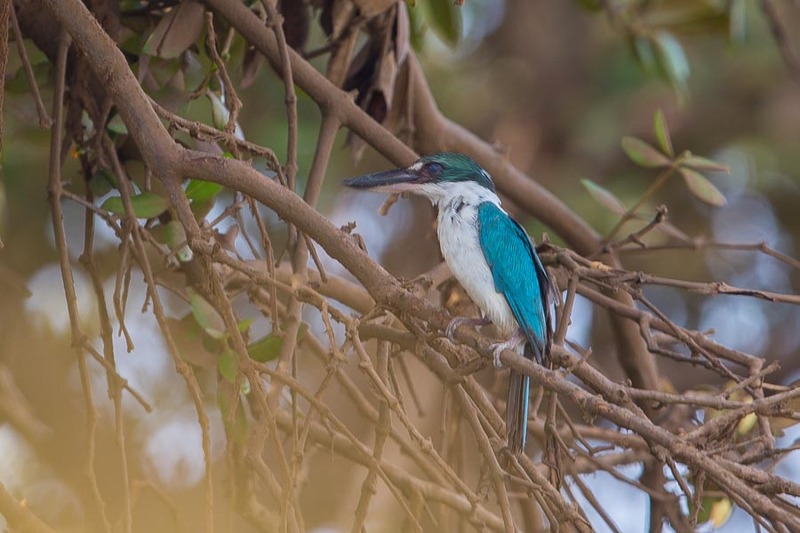 We drove down to the site we found and started looking in the mangroves when a loud series of calls alerted us to the presence of Collared Kingfisher and after a short while we had seen four birds with others calling. These mangroves had more crabs present than I have ever seen and as crabs are the primary food of Collared Kingfisher conditions looked ideal. 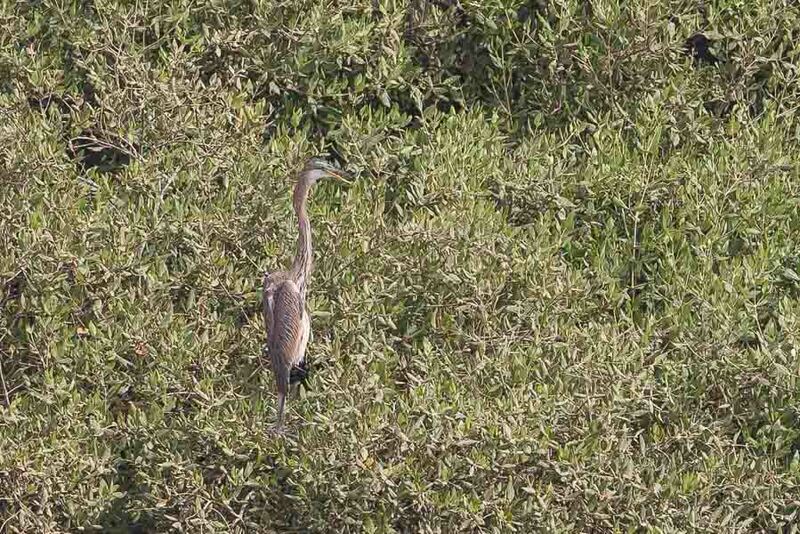 The birds were seen in flight and occasionally perched in the mangroves themselves but did not allow us close approach. 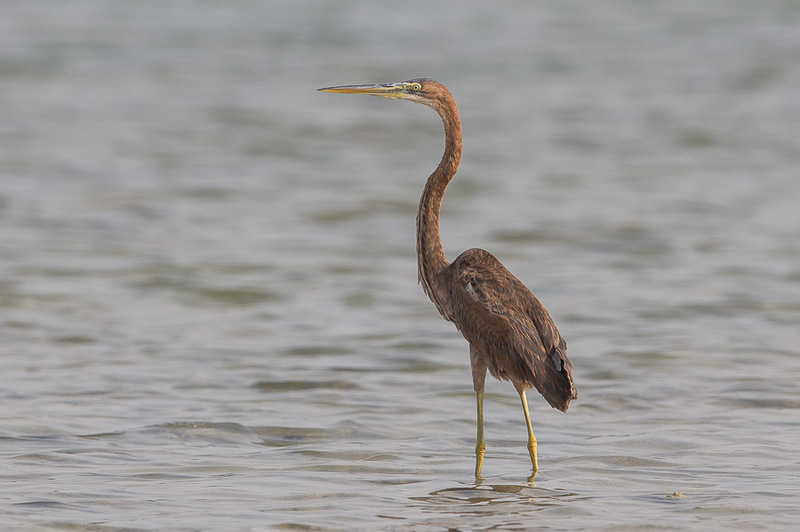 Whilst looking for the Collared Kingfishers and scanning the edge of the mangroves we also found a Goliath Heron perched in the mangroves, presumably driven there by the rising tide. 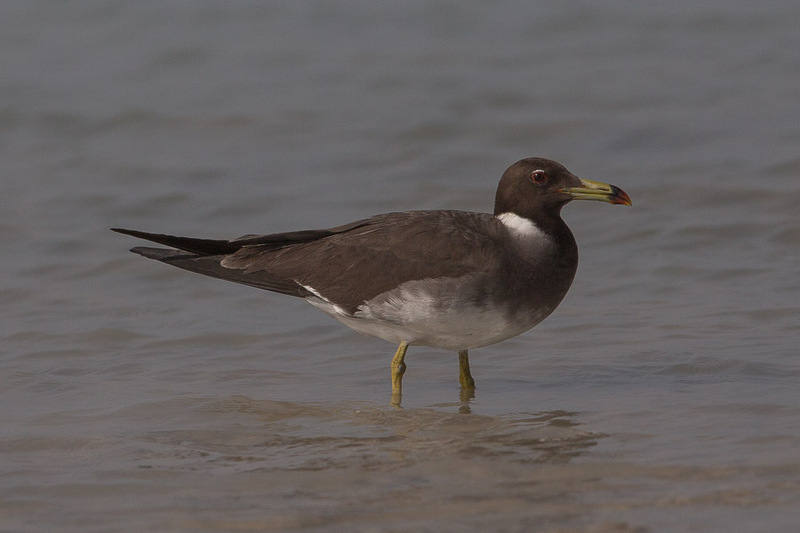 Other good birds seen at the site included Sooty Gull, Striated Heron, Crab Plover, Greater Sand Plover, Indian Reef Heron, Purple Heron and African Collared Dove. Wonderful, special place and I'm going to put it in this year's my list of places to watch collared kingfisher and Goliath heron. It is a great site and well worth visiting first thing in the morning when the Kingfishers are very vocal.